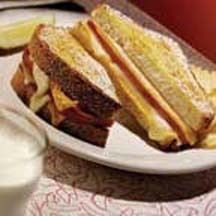 CooksRecipes has quality, kitchen-tested recipes for the traditional Monte Cristo sandwich, as well as a unique take or two on the classic sandwich. 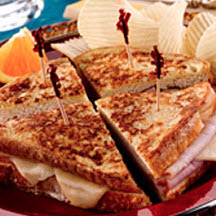 Yogurt is the secret ingredient in the egg mixture of this version of the classic ham and cheese French toast-style sandwich. 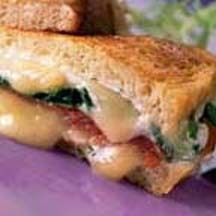 Monte Cristo-style sandwiches made with smoked salmon, Brie cheese, dill-flavored cream cheese and arugula leaves on potato-dill bread.